The eligible candidates may walk in for assessment with attested copies of certificates and resume on 26.04.2016 between 11.00 AM to 5 PM. 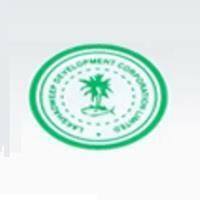 Lakshadweep Development Corporation Limited recruits Trainee Posts. Candidates with MBA can apply. Lakshadweep Development Corporation is an omnibus Corporation for Lakshadweep established as a fully owned Government Company registered under the Companies Act, 1956 on 22.12.1987. The Corporation has focused on developing value added products from fish and coconut resources abundantly available in the islands. The main objectives of establishing Lakshadweep Development Corporation Ltd. (LDCL) as enshrined in the memorandum of association is as follows; Survey, prospect and catch, develop, manufacture, conserve, culture, and artificially breed, preserve, process, and convert deal in wholesale and/or retail; and buy, sell, market, import and export all varieties of fish, shellfish, squids, cattle fish, octopus, marine products like oysters, pearls and sea-weed, and corals and jelly fish which are available from the sea and other waters.